Since forming circa 1989 they have released 6 studio albums and a b-sides collection to date. Here we take a little look back at the albums and career as a whole. At the time Adrenaline was released the ‘nu-metal’ scene was beginning to take off with bands like Korn and Limb Bizkit bringing it to the forefront. I wouldn’t say Adrenaline could be considered in the same genre though it’s certainly similar enough to be picked up by fans of the aforementioned. Chino Moreno’s vocals are a strange mix of languid singing, some screams and occasional amateur white boy rap, sometimes all in the same verse. It’s an awful sounding description, but it quite simply just works. Thankfully though, the metal overtones shine through and that’s what keeps the album from being lost to history, consigned to the nu-metal bargain bin. Opener “Bored” has a superb low tuned guitar riff and bass line that I’d say became indicative of the Deftones sound that you still recognise today. There aren’t a lot of distinctive tracks to be honest, but the overall album works very well especially where’s there a little more complexity to the guitar or a nifty bass line like in “7 Words”. 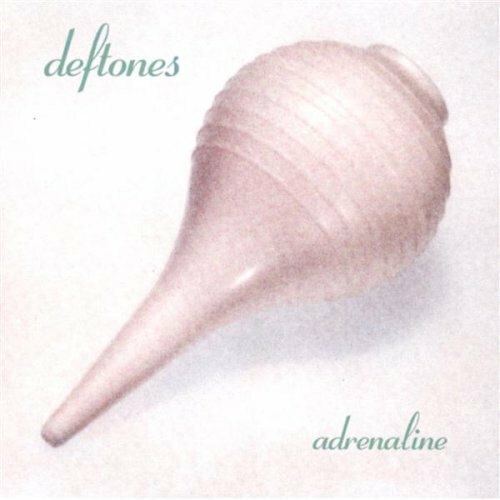 Despite its age, Adrenaline is still a pretty damn good record and although I wouldn’t necessarily give it to someone as an introduction to Deftones, it’s well worth listening to. 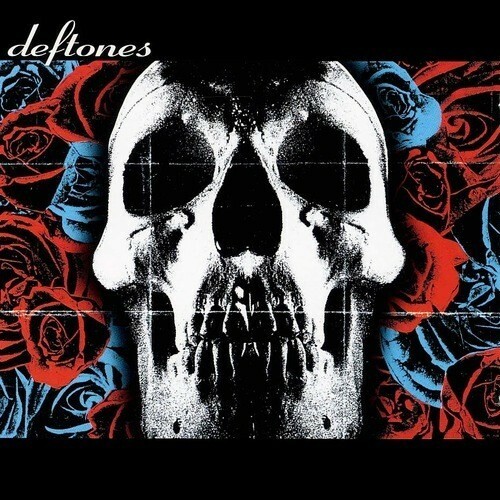 Around the Fur is the album that really broke Deftones. “My Own Summer” caught the interest of everyone and for a time any music channel worth its salt was playing it. In fact, it’s still a pretty regular feature in todays ‘best rock/metal/songs ever’ countdowns. Along with the excellent “Be Quiet and Drive” there was a time when you couldn’t put the TV or decent radio stations on without hearing or seeing one of those two tracks. The album is a logical follow up to Adrenaline with similarly constructed songs though as expected the production is better than the debut. It features a fair amount of calmer vocal and less of the amateur rap alongside the screams that characterise a lot of the more aggressive moments on the album. Title track “Around the Fur” is a good example of how effective the vocal shifts are. Overall it’s quite an angry sounding record. I like to play it when I feel pissed off at something. The down tuned guitar really hits where it counts and makes all the difference. Over the years it’s been an album that I’ve enjoyed coming back to again and again, pissed off or not. It also features a small guest spot from Max Cavalera (Soulfly, Cavalera Conspiracy) on “Headup”. It must have been a swap as Chino appeared on “Pain” from Soulfly’s Primitive around the same time. 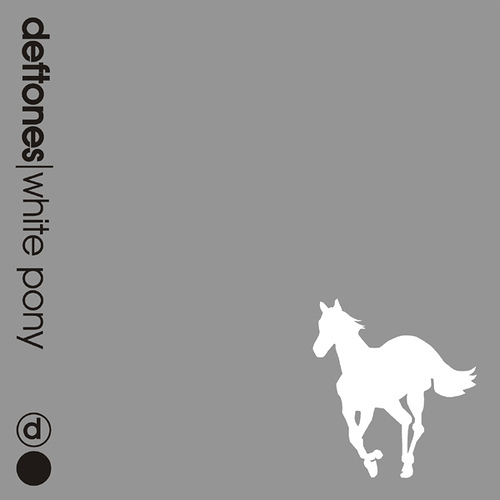 White Pony I feel is maybe the most important album in the Deftones history as it marks a change in sound that really defined things to come. While not as consistently heavy as the first two albums it does still retain the loud punchy sound that by this point you’ve come to know and love, yet it introduces a much more complex and technical side to the band. We’re not exactly talking Tool or prog-rock technical wizardry here, but the angrier shouts of old are toned down in favour of better, slower more accomplished song construction. This is a band that’s really growing into its skin and developing its own unique personality, now completely breaking away from the nu-metal label they were unfairly tarnished with and standing out from the cookie cutter bands that were popping up at the time. They’re like a teenager who’s not interested in being part of the in crowd if you will, and ironically the album features a track of the same name. Perhaps the band thought of themselves as such at the time? It’s quite a departure from the previous albums and at first can be a little difficult to listen to but quickly grows on you. The opening trio of songs “Feitceira”, “Digital Bath” and “Elite” have a great rich sound, yet comforting familiarity that reminds you that you are indeed still listening to Deftones. The album also features a superb guest vocal from Maynard James Keenan (Tool, A Perfect Circle) on the track “Passenger”. It’s a looming and intense beast that’s perfectly complemented by the guest appearance. The album also features one of my favourite Deftones tracks, “Change (In the House of Flies)”, and if you’re only casually acquainted with Deftones then you might be interested to hear “Pink Maggit” which contains the skeleton of what would later be released as “Back to School”. The Back to School EP also contains an acoustic version of “Change…” which is well worth seeking out. The self titled album follows much in the same vein as White Pony does. In the same way that Around the Fur sound wasn’t a million miles away from Adrenaline, Deftones retains a lot of the character, complexity and slower pacing of White Pony, yet it doesn’t feel quite like one cohesive piece as White Pony did. This certainly doesn’t make it a bad album though. First track “Hexagram” has become a firm favourite of mines and does everything just right in my eyes (or ears, even), although sometimes I wonder if it’s because I’m a Deftones fan. There’s something about it that just hit me right there, you know, but if you deconstruct it it’s a weird amalgam of off key vocal and off time instrumentation. The album also features the excellent “Minerva”, which I think I can safely say is the closest the band has ever come to a straight forward ballad. Of course, being Deftones its sound is huge and Chino’s vocal makes it unique. I love the grandeur of the song and hugely enjoy signing along to the “God bless you all” chorus even though I am staunchly anti-religion and take a huff at being preached to in songs. It takes a special band to do that. The rest of the album doesn’t quite live up to those two songs, but I think they’re pretty special so it would be unfair to say this was due to a lack of quality or decent songs. Except for isolated moments and in one song in particular, it lacks the scream vocal and is actually quite a slowly paced album as a whole. Production seems to have changed a little too favouring a crisper drum sound than before but thankfully without compromising the other instruments. The 2006 follow up to Deftones really continues in the same vein but slightly less successfully. The opening half dozen tracks are of the usual high quality with a few particularly good numbers, but an instrumental track in the middle cleanly slices the album in two with the latter half failing to impress as much as the former. The second half is mostly unremarkable and sometimes it makes you wonder where they were going with some tracks. One song in particular is little more than a girl talking all religiously and when it seems to finish it suddenly continues and she just rambles on for another minute. Although the later part is quite dirty it doesn’t come across as an artsy contrast in angelic voice with mucky words, but instead it sounds more like they thought it was funny to shove an outtake on the end. The album isn’t a write off by any means, but parts of it are forgettable and it does leave me a little disappointed in the end. Before Diamond Eyes came along the band had a major incident in losing bass player Chi Cheng in a car an accident that left him in a minimally conscious state where he sadly still remains to this day. The band also made a very strange decision to dump an album worth of material and start again. Eros was dropped due to the band deciding that the material simply wasn’t good enough. And can I just say that if a poor quality Eros had come along instead of the fantastic Diamond Eyes I would have been gutted. 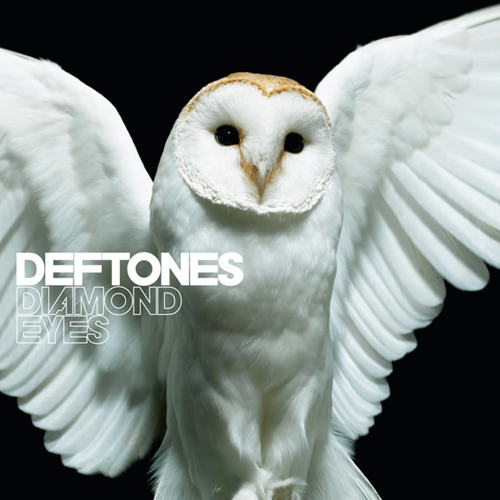 Diamond Eyes sounds much more like a combination of Around the Fur era songs with all the improvements that 15+ years of playing provides and is for the most part much heavier as a result. It lacks the pace of Around the Fur but favours huge soundscapes that draw you into the songs. Unbelievably the down tuned instruments are even lower than before and on a decent stereo system or high quality headphones are a joy to behold. Just listen to the eponymous album opener or “Risk” and you’ll know exactly what I mean. The hugely powerful guitar and bass are excellent throughout. 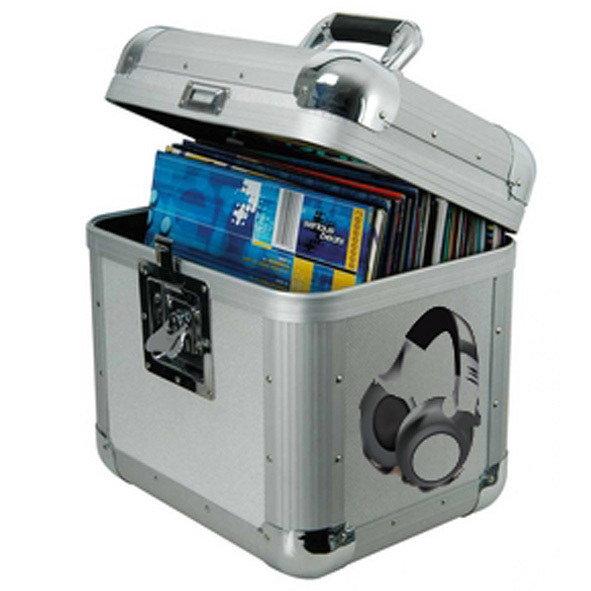 So there you go, a mostly excellent back catalogue with the usual hits and misses that a long career inevitably has. Deftones certainly aren’t to everyone’s taste but I’d highly recommend to anyone who likes a nice crunchy guitar sound giving all the ‘Add to Playlist’ songs noted above a whirl and taking it from there.